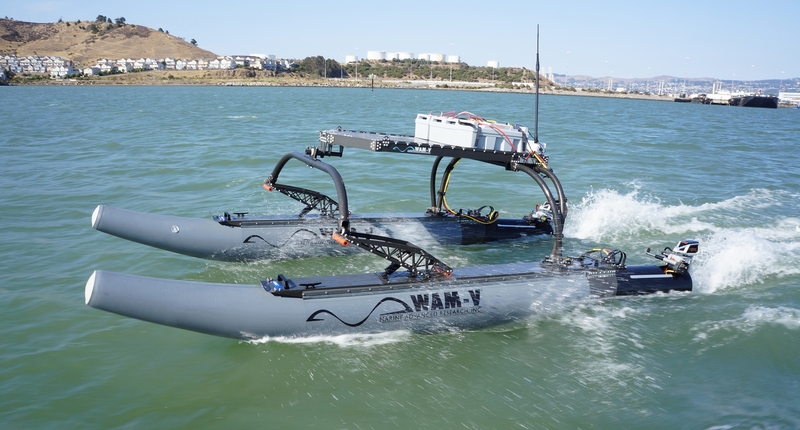 NCTU was awarded the WAM-V to the 2018 RobotX Challenge by Association for Unmanned Vehicle Systems International (AUVSI). 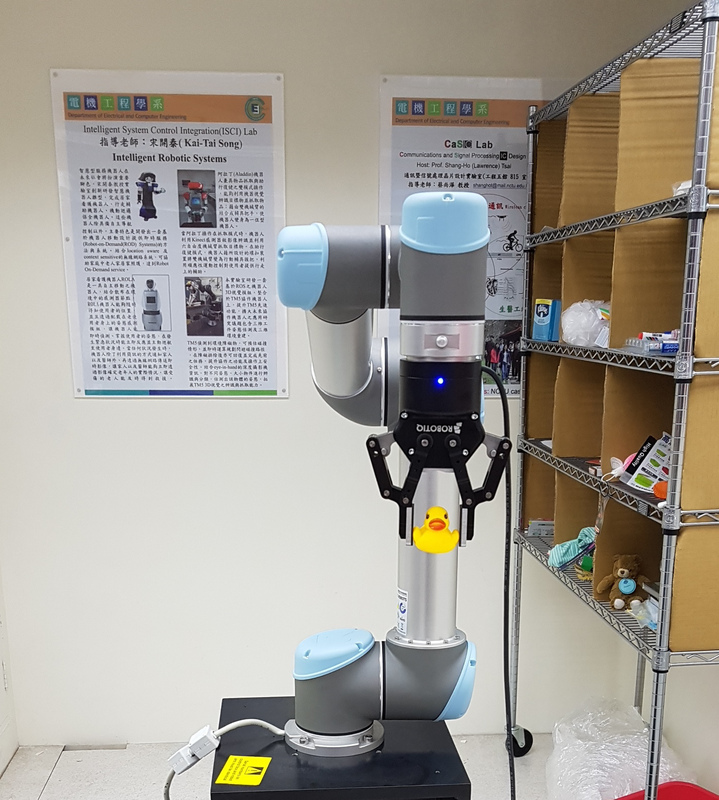 UR5 is provided by the Robotics Institute @ NCTU to support robotic manipulation education and research. 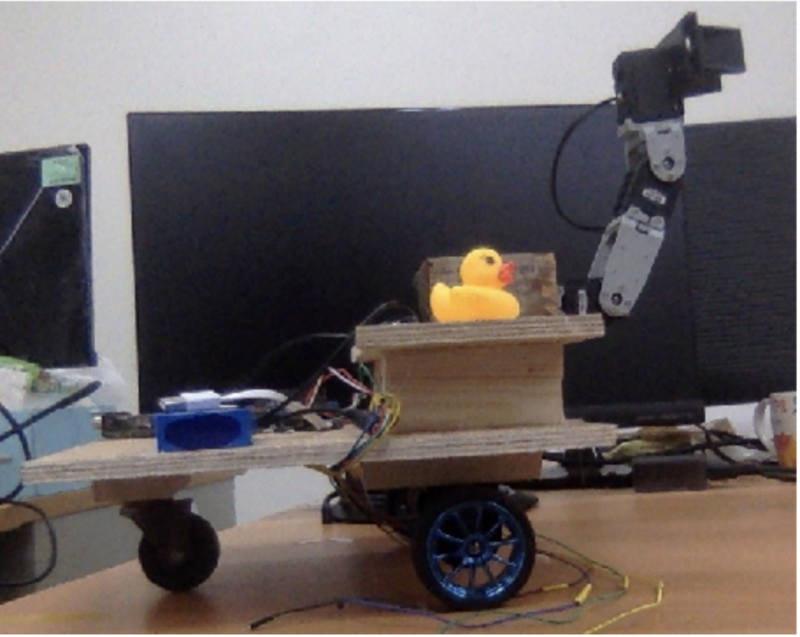 A Duckiebot contains a wide-angle camera, a processing unit (Raspberry Pi 2/3), and motors, and is able to follow lanes while avoiding obstacles, pedestrians (duckies) and other Duckiebots, localize within a global map, navigate a city, and coordinate with other Duckiebots to avoid collisions. Duckietown Detail. Duckietown in MIT 2016. The mobile manipulator was used in the MIT 2.12 course , and later adapted in NCTU. Thanks to Peter Yu for initialing the robot and course material development as well as support for NCTU courses. MIT 2.12 Course in 2016. 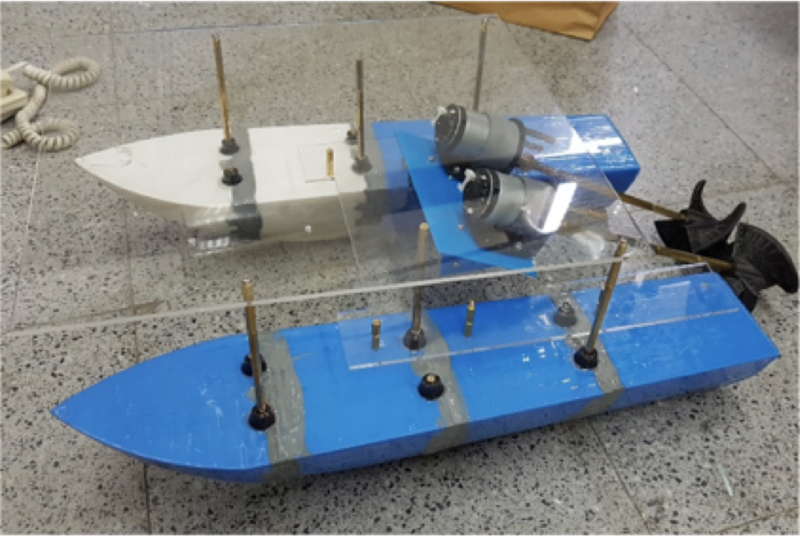 Duckieboat is inspired by Duckiebot, and is designed to promote the education and research for autonomous surface vehicles.